There is something timeless about writing a fan letter, as tried and true as any ritual of fandom. Maybe you’d get a form letter back thanking you for your interest or if you were lucky, a signed photo. With the launch of their official website www.duranduran.com in 1997, Duran Duran – pioneers with infusing music, art, fashion and technology – took the concept one step further. They entrusted an employee to field questions sent via the Internet and pass them along for a direct answer from a band member. Thus ASK KATY was born, becoming oneof the most popular pages on the band’s website. 10 plus years later, the band and Katy put out the book WOULD SOMEONE PLEASE EXPLAIN? 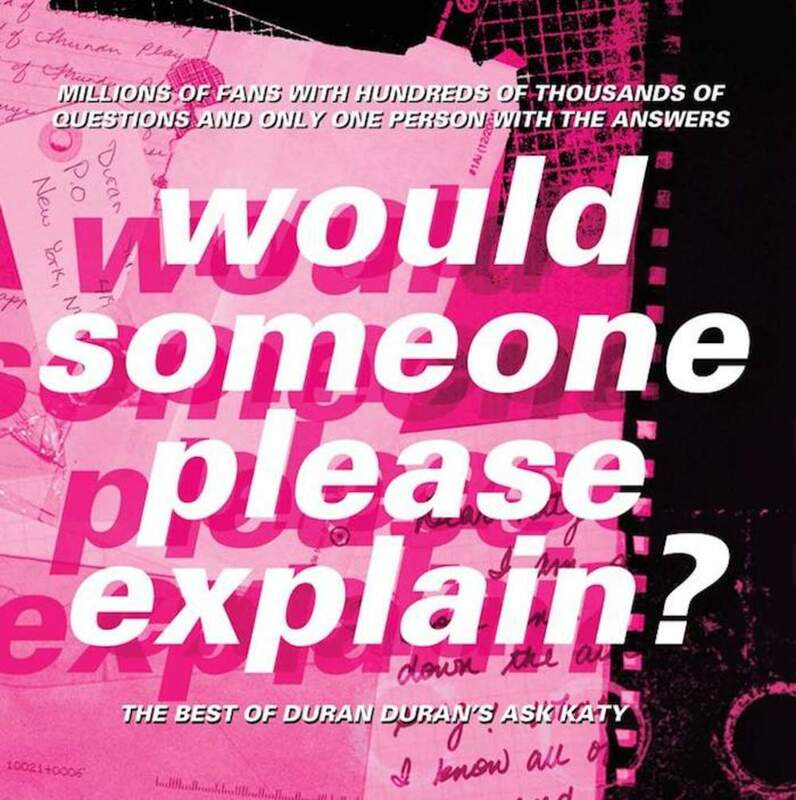 The Best of Duran Duran’s Ask Katy. Culled from thousands of questions, the book highlights the best, the craziest and the most creative questions the dedicated and devoted fans of Duran Duran have sent in over the years, with thoughtful – and often funny - answers from band members Simon Le Bon, Nick Rhodes, John Taylor and Roger Taylor. WOULD SOMEONE PLEASE EXPLAIN? The Best of Duran Duran's Ask Katy is a delightful bite of pop culture. This collection of fan emails to Duran Duran lets the reader in on the touching, mortifying and laugh-out-loud world of celebrity fan mail. And in the process gives you some insight in to the personalities of Roger, John, Nick and Simon. This book is available for purchase on duranduran.com's webshop and makes a great gift for a Duran Duran fan, a music lover, a collector of kitsch or anyone that ever took pen to paper - or fired up a laptop - and wrote a fan letter.